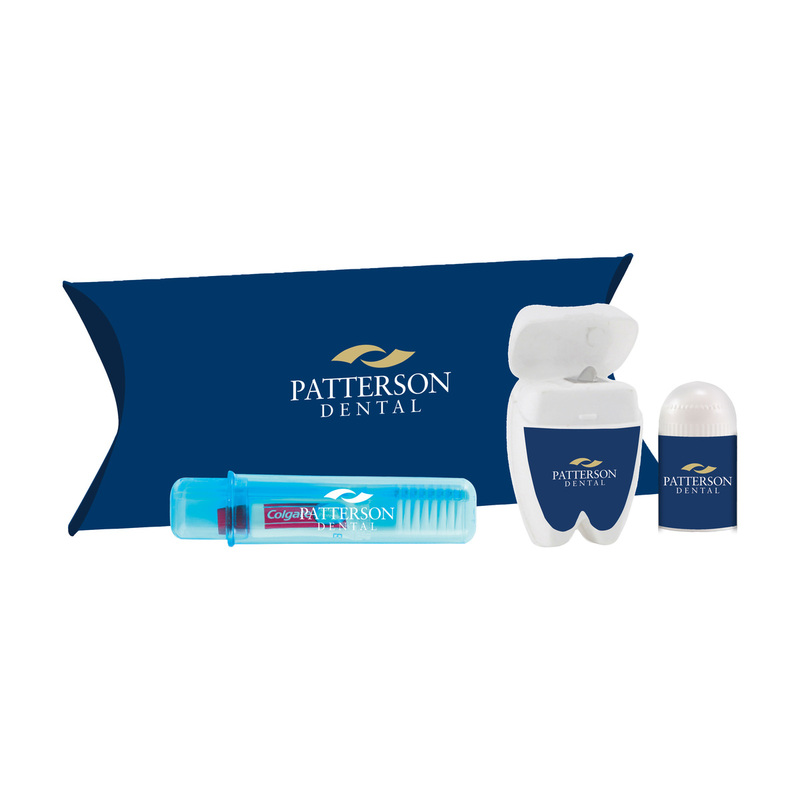 Packaged in an elegant and practical pillow pouch with a smooth finish and capable of full-color process printing, this Dental Pillow Pouch kit is a must have. It includes a travel toothbrush and toothpaste combo, tooth shaped dental floss and a bullet style mini lip balm to have your mouth feeling refreshed for the day. Create tremendous brand exposure on all items involved in this kit. **For custom kits with pillow pouch, avoid products with liquid in them for this type of packaging.